Helping customers glean more insights from radiological images can also advance precision medicine and population health efforts, the company said. LifeIMAGE announced that it is now using the Google Cloud Platform to offer population health and precision medicine capabilities to clients of its medical image management network. Imaging vendors, including LifeIMAGE rivals Agfa Healthcare, AMRBA Health, GE, Lexmark, Mach7 and Novarad have been increasingly focused on sharing images in the cloud. Last year at the Radiological Society of North America, in fact, those seven vendors announced that they were participating in the RSNA Image Share Validation Program. Such sharing of radiology images promises to improve patient care by enabling clinical decision making to ideally reduce unnecessary or redundant tests and procedures. And it also means that patients seeing doctors who work at hospitals subscribing to cloud-based image sharing will no longer have to carry their own images from one appointment to the next. Now, LifeIMAGE is building on that by adding Google functionality to the services it offers clients. CTO Janak Joshi said the company will harness Google Cloud capabilities to apply machine learning to genomic, radiomic and clinical datasets. 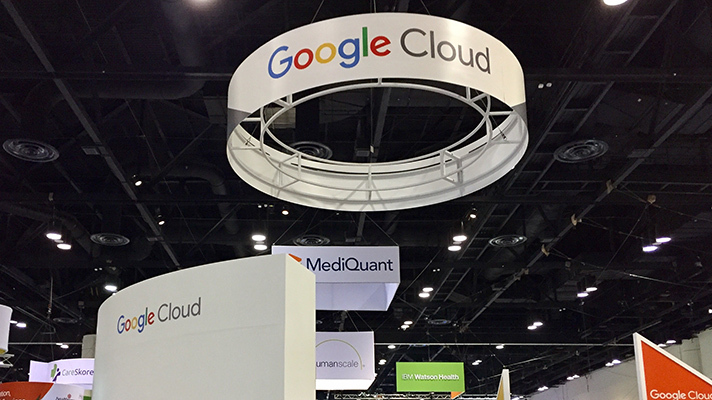 “Google Cloud will enable us to identify patterns of interest across billions of images to help clinicians make better treatment decisions,” LifeIMAGE CEO Matthew Michela said in a statement. The company said that the new arrangement will advance population health and precision medicine for its customers as well as medical researchers with a particular emphasis on point of care. lifeIMAGE’s network serves some 150,000 providers globally at 1,400 healthcare organizations.